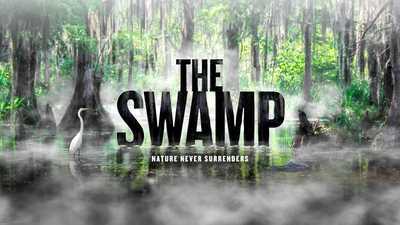 The Swamp tells the dramatic story of humanity’s attempts to conquer the Florida Everglades, one of nature’s most mysterious and unique ecosystems. Home to a profusion of plants and animals found nowhere else on the continent, the Everglades was an immense watershed covering the southern half of the Florida peninsula. In the 19th century, however, most Americans believed swamps were filled with diseases and noxious reptiles and saw them as obstacles to the nation’s progress. The idea of draining the Everglades became the goal of many entrepreneurs, politicians and salesmen who saw great potential in turning the massive wetland into a profitable enterprise. Altering the landscape of the Everglades unleashed a torrent of unintended consequences, from catastrophic floods to brutal droughts. Told through the lives of a handful of colorful and resolute characters, from hucksters to politicians to unlikely activists, The Swamp explores the repeated efforts to transform what was seen as a vast and useless wasteland into an agricultural and urban paradise, ultimately leading to a passionate campaign to preserve America’s greatest wetland. 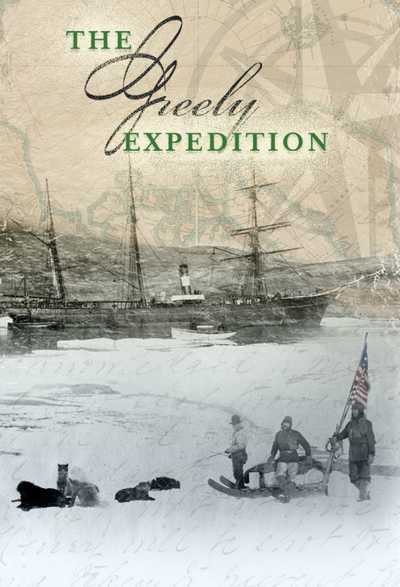 Narrator: In 1947, an improbable best-seller redefined one of the most remote regions in America––a place long considered impenetrable and dangerous. 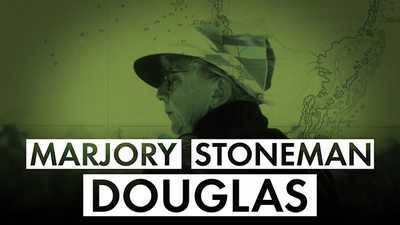 Author Marjory Stoneman Douglas saw the Everglades differently––as a vital, invaluable ecosystem, not a useless swamp. Marjory Stoneman Douglas, VOICE: Nothing anywhere else is like them: their vast glittering openness, wider than the enormous visible round of the horizon, the racing free saltness and sweetness of their massive winds, under the dazzling blue heights of space. … They are, they have always been, one of the unique regions of the earth, remote, never wholly known. Narrator: The Everglades had been essential to South Florida’s rise from a remote backwater to an urban and industrial empire. Now, Douglas warned, the vast wetland was dying. Michael Grunwald, Author, The Swamp: The story of the Everglades is the story of man’s quest to drain the swamp, to reclaim, and develop, and improve the Everglades. Leslie Poole, Historian: We dug canals. We fortified a lake without really understanding what those consequences would be. Thomas Van Lent, Civil Engineer: They didn't really give any thought to how the natural system worked. It resulted in large-scale ecological collapse. Marjory Stoneman Douglas, VOICE: The endless acres of saw grass, brown as an enormous shadow where rain and lake water had once flowed, rustled dry. … What had been a river of grass and sweet water, that had given meaning and life through centuries, was made, in one chaotic gesture of greed and ignorance and folly, a river of fire. 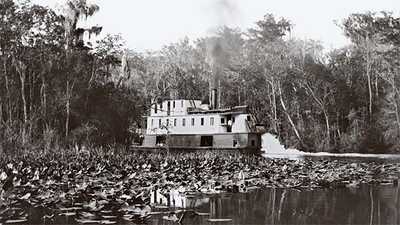 Narrator: In winter 1877, a steamboat plied the waters of the St. Johns River in central Florida. It was one of many excursion trips for northern tourists looking to trade the cold, crowded streets of industrial cities for the pleasures of a pristine, tropical wilderness. Aboard the steamer was a wealthy, 33-year-old Philadelphian named Hamilton Disston, on his first visit to Florida. A restless entrepreneur who soon would inherit his father’s lucrative saw manufactory, Disston had come to fish. But in the wilds of central Florida, he saw a spectacular business opportunity. Jack Davis, Historian: Hamilton Disston has this vision of Florida as a place that will make him even more wealthy than what he is. And in the late 19th century, the American heroes of the day are people like Rockefeller, and Carnegie, and Vanderbilt: businessmen. Florida: it’s a paradise for the sportsmen and women, but it’s also an opportunity for the businessman. Michael Grunwald, Journalist: This was a way for this heir to an industrial fortune who had always lived in his dad’s shadow to, kind of, step out and create something that was truly his. Narrator: Where Disston saw potential, most others saw an insurmountable obstacle: a massive wetland known as the Everglades that covered much of Florida’s southern half, inhibiting settlement and development. “We want immigration and capital,” Florida’s governor admitted, “come from whatever source it may.” Disston was sure he could deliver both—by turning the Everglades into dry land. Michael Grunwald, Journalist: Hamilton Disston had this very simple grand vision. He was going to transform this wasteland into the new hub of America. People saw it as man’s duty to conquer the wilderness. The people who talked about draining the Everglades, and reclaiming the Everglades, and improving the Everglades, they thought they were literally doing God’s work. They thought that they were taking this useless swamp and turning it into something productive for mankind. Narrator: In 1881, Disston cut a deal to purchase 4 million acres of the Everglades for $1 million in cash, enough to pull Florida out of its post-Civil War debt. He also promised to drain 12 million acres—one third of the state's landmass—in exchange for half the land his dredges successfully reclaimed. Michael Grunwald, Journalist: Hamilton Disston was really the first guy who made a serious effort to drain it. His drainage scheme was, at the time, considered the most ambitious drainage project in the history of the planet. There had never been this kind of assault on an entire landscape. Jack Davis, Historian: Hamilton Disston is not just simply one of Florida’s early, big real estate developers. He’s one of its early boosters. His vision was to drain this land, turn around and sell it. 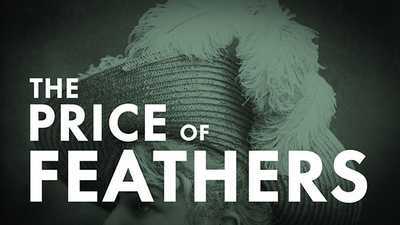 To get the word out, he invited President Chester Arthur down to Florida for a tour of his, if you will, “kingdom,” and took Chester Arthur on a boat ride down the Caloosahatchee River. And so he’s generating this excitement about Florida and Florida land. Disston's dredges, meanwhile, were busily carving drainage canals through the sawgrass marshes. Within two years, water levels in some areas had reached record lows, opening pastures and grazing land for cattle. Bullish on the prospects for agriculture in the region, Disston established an 1,800-acre sugar plantation—and generated impressive yields. Paul Sutter, Historian: The tropics was a vitally important environmental region both from a biological standpoint and, increasingly, from an agricultural standpoint. Things like sugar, and citrus, which could be produced in ways that they couldn’t be in most of the rest of the continental United States. Gail Hollander, Geographer: Disston was trying all these ventures, little towns that he was planning and bringing people in to live, selling land, and sugar as a capitalist. He was there to demonstrate that South Florida, and not just South Florida, but drained land in the Everglades, could be made productive and profitable. Narrator: Then, after a handful of relatively dry years, the rains came with a vengeance—and the land Disston had reclaimed began to flood. A state commission in 1887 declared most of his efforts a failure, dismissing them as the result of a temporary drought, not permanent drainage. Jack Davis, Historian: The great foil in Florida is rain. Even though you may think you’ve drained the land, as Hamilton Disston thought he had, one big rainstorm comes along, or a hurricane comes along, and that dry land is suddenly swampland once again. When he saw that things weren’t going so well for him in Florida, Disston mortgaged the Disston Saw Company – this old and prestigious firm in Philadelphia – for $1,000,000 to try to bail himself out. Narrator: Disston’s financial gambit ultimately came to nothing––sunk by heavy rains and a pair of cold-snaps that ruined his crops. 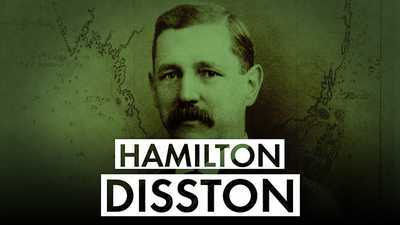 On April 30, 1896, Hamilton Disston died suddenly at the age of 51. Jack Davis, Historian: He’s failed as a self-made businessman, he realizes. And the rumor is, and it may or may not be true, that he was so depressed that he sat in one of the bathtubs in his house in Philadelphia and put a gun to his head and committed suicide. Narrator: The official cause of death was a heart attack. But to many, that didn’t matter—the moral was the same: the swamp had claimed another victim. Marjory Stoneman Douglas, VOICE: This is the greatest concentration of sawgrass in world. … To try to make one’s way among the impenetrable tufts is to be cut off from all air, to be beaten down by the sun and ripped by the grassy saw-toothed edges as one sinks in mud and water. … There is no earthly way to get through … these interminable miles. Narrator: Before Hamilton Disston’s failed effort to tame them, the Everglades had been mostly unknown to white people. It wasn't until the late 1830s, when US soldiers attempted to remove a few thousand Seminole Indians from the state, that whites began to grasp the character of Florida's imposing wetland––and categorized it, unflatteringly, as a swamp. Paul Sutter, Historian: There was a sense that swamps were miasmatic and disease producing as well as being the habitat of noxious reptiles, and insects, and things like that. It certainly gave places like the Everglades a bad reputation. The Seminole hadn't chosen to live in the Everglades. They were driven there. Pushed out of north Florida by encroaching white settlement, they fiercely resisted all efforts to remove them from the territory. Rather than surrender, they fought a series of bitter wars and moved ever farther south—until finally, in the watery labyrinth of the Everglades, they found a sanctuary: abundant in fish and game; suitable for farming on the islands that dotted the marshland; the forbidding terrain an advantage against intruders. Betty Osceola, Local Historian: I was always taught that if our ancestors didn’t have the tenacity and the bravery to do what they did, and to stand their ground, we wouldn’t be here today. And as an indigenous person, growing up, we’re always taught that we’re related to the environment around us. We believe that everything was put here for a purpose just like we have our purpose—the plants, the animals, the trees, everything have their purpose in life. Thomas Van Lent, Civil Engineer: Florida is very long, very narrow, and surrounded on three sides by water, very warm water. So, that means that this place is defined, not by the four seasons that you typically find in the temperate zone, but by the rhythms of the tropics, the wet and dry season. It’s warm, very humid, and there’s water everywhere. Narrator: The water’s journey to the Everglades began just south of today’s Orlando. Fed by rainfall, it meandered through the Kissimmee Basin to the huge, shallow Lake Okeechobee. In the rainy season, the water would overtop the lake’s southern bank, then slowly spread across the peninsula––some of it seeping down to replenish underground aquifers, the rest wending its way through dense mangrove forests before finally exiting into Florida Bay and the Gulf of Mexico. Thomas Van Lent, Civil Engineer: The Everglades is really a water management system that’s perfectly tuned to the conditions in the subtropics. If it rained a lot, the wetlands would just expand. And if it stopped raining, and there was a drought, the wetlands would contract. But it’s extremely flat. So water just doesn’t run off. It looked like it sat there, but actually it didn’t. It flowed, just very, very slowly. Narrator: Called "Pa-Hay-Okee"—or grassy water—by the Seminole, the Everglades was but one component of a vast, interconnected ecosystem that included Biscayne Bay off the coast of what would one day be Miami, the coral reefs of the Florida Keys, and a patchwork of pinelands and blackwater bogs known as the Big Cypress Swamp. All together, the greater Everglades ecosystem covered 18,000 square miles—and water was its lifeblood. But when Hamilton Disston—and those who would follow in his footsteps—tried to drain it, none of that was well understood. Paul Sutter, Historian: At the turn of the 20th century, there is a growing sense that engineers and industrial era machinery gave Americans the capacity to truly master the natural world. It's an era of arrogance or hubris. And I think that is an important transition point in the history of the Everglades. Douglas Brinkley, Historian: Every generation in America has new technological conceits. The idea that this new generation—the Panama Canal generation—that they were gonna be able to do massive drainage down in the Everglades, that it could be done, that the technology was there, all that was missing was money and willpower and some political finesse. Jack Davis, Historian: Napoleon Bonaparte Broward was a force. He wanted to do something, he did it. He was smart, he was savvy, he had ambitions. And he campaigned on the promise that he would drain millions of acres in the Everglades. Michael Grunwald, Journailst: Broward told Floridians that water was the common enemy of the people of Florida, and he was gonna be the man who got rid of it. Narrator: Known for his slogan “Water Will Run Down Hill!,” Broward was convinced that draining the Everglades was a simple proposition. Not only could it be accomplished for just a dollar an acre, he proclaimed, “I can do the whole business in five years at the outside." Paul Sutter, Historian: This was a vast part of his state that he wanted to see developed, that he wanted to bring on to the tax rolls, that he wanted to see people gainfully using to advance the economic development of his state. And I think there was a real sense that the person that could bring this intractable landscape into its economy would be a kind of hero. Narrator: By draining the Everglades, Broward vowed, he would make Florida America's new heartland. Jack Davis, Historian: Napoleon Bonaparte Broward was a Populist politician, meaning that what he would do would be for the people. He envisioned the Everglades becoming a place in which the ambitious individual, the independent yeoman farmer, the Jeffersonian farmer could make a living for himself and his family. Narrator: Florida had been granted statehood in 1845. But when Broward took office, more than fifty years later, it was still considered the frontier. The second largest state east of the Mississippi, Florida was also among the least settled, with a population of roughly half a million. Douglas Brinkley, Historian: Florida was like the last Wild West. Nobody was gonna move to south Florida. If you’re a politician from down there, nobody’s coming to live in a swamp. So you had to have schemes to drain the swamp. Narrator: Broward meant to finish what Hamilton Disston had started. With 80 miles of canals already dredged, and working from a recommendation made by Disston's own chief engineer, Broward ultimately planned a huge and costly canal that would lower the level of Lake Okeechobee by siphoning water east to the St. Lucie River and out to the Atlantic. But the Governor wanted to quickly show proof of concept, and he decided to start digging much farther south, on the New River, near the tiny hamlet of Fort Lauderdale. On July 4th, 1906, Broward commemorated the nation's independence by launching the first of two specially constructed dredges—then immediately wired back to the state capitol: "The first dredge is digging mud!" The fanfare was premature—the line through the sawgrass hadn't even been surveyed. But Broward was a man on a mission. Michael Grunwald, Journalist: He was not just the Governor. He was the chief engineer. He wrote the specifications for the dredges. He went and inspected them as they were being built every month. At one point, he wrote a letter to the manufacturer, asking why he had thickened a bulkhead by 1/16th of an inch. Gail Hollander, Geographer: Broward was very hot on drainage. And this was a hot topic around the United States at the time. People were draining the prairie potholes of the Midwest. They were developing ways to dry out the river basins. Michael Grunwald, Journalist: It’s really hard to overstate the excitement that Broward’s drainage project was creating, not just in Florida but around the country. Teddy Roosevelt was very excited about reclamation. He saw it as a top priority for his administration. And his Agriculture Department was especially excited about the drainage work that was going on in Florida, which they saw as potentially the greatest act of reclamation in American history. Enthusiasm for Broward's project was far from universal. Even the chief of the U.S. Department of Agriculture’s new drainage division expressed reservations, suggesting the Everglades enterprise would cost as much as 50 times more than Broward estimated. Jack Davis, Historian: Broward is under fire by many people who say his plan is flawed, that what Broward was proposing just simply wouldn’t work. The USDA sends an engineer, by the name of James O. Wright, to South Florida to do a study of the Broward Drainage Project. And, apparently, Wright and Broward became chummy. Michael Grunwald, Journalist: Broward was very eager to get a, kind of, seal of good housekeeping from the federal government. And James Wright was more than happy to give Broward the kind of answer he wanted as long as there were also private opportunities for him to have a little graft on the side. Ultimately, James Wright put together a report that was much more Broward friendly coming to the conclusion that the Everglades drainage was inevitable, and it could be done for about $1 an acre, which was what Broward wanted to hear. Narrator: By the time Wright finished his study, in 1908, Broward was nearing the end of his term, in the midst of a run for the U. S. Senate, and badly in need of a boost for both his drainage project and his reputation. Over the previous two years, his dredges had dug only about 12 miles of canals and reclaimed fewer than 12,000 acres—hardly a dent in the massive wetland. Worse still, Broward had failed to pass a drainage tax to support the effort, and was now woefully short on cash. But the Governor had angles to work. In December 1908, just before he left office, Broward negotiated a million-dollar sale of Everglades marshland to a western land speculator, and rescued his drainage project from financial ruin. Jack Davis, Historian: The state of Florida is flaunting it as if this is the gospel word about Everglades drainage. And used this flawed report to generate this excitement nationwide about buying real estate in Florida, to bring flocks of people down to buy this reclaimed land that the state was responsible for creating. Narrator: Thanks, in part, to Wright’s misleading report, the state of Florida managed to pass a five-cents-an-acre drainage tax, then hired Wright as Florida’s chief engineer at twice his federal salary. Ex-Governor Broward’s plan for the Everglades was now at the top of the state’s agenda. Michael Grunwald, Journalist: After Hamilton Disston tried and failed to drain the Everglades, Broward came along, and he didn’t really succeed in draining the swamp either, but he made it absolutely clear that the swamp was going to be drained. Narrator: The rush got underway in March 1911. In New York, Washington and Pittsburgh, in Michigan, Iowa, Kansas and South Dakota, Americans boarded trains by the thousands and made a beeline for Florida. Upon arrival in Fort Lauderdale, the early comers quickly filled the small town's few hotels. The rest rented rooms in private homes or scrambled for a patch of ground in a hastily-pitched tent city. They were school teachers and clerks, bricklayers and farmers, all of them eager to claim their very own parcel of drained Everglades muckland—in what advertisements had described as one of "the greatest land propositions ever offered to the investing public." Eliot Klienberg, Journalist: These people saw this golden opportunity. They were told this muck was this rich, black, wet soil, and it was like you could throw a quarter down and a tree would grow out of it. Narrator: The event had been organized by Dicky Bolles, the land speculator who had purchased a half-million acres in the Everglades from Governor Broward. Now, Bolles was looking to unload it at a profit. Jack Davis, Historian: Dicky Bolles calls it the Progresso Land Lottery. For $240, you could buy into this lottery with the chance of winning either a large parcel of land or perhaps a small parcel of land. And what he doesn’t tell people is that much of this land that is part of this lottery is still underwater. Narrator: Peddling the promise that the whole of the Everglades would be drained in a year, Bolles and his so-called “swamp boomers” managed to sell 20,000 parcels of muckland in a matter of months—most of it sight unseen. Michael Grunwald, Journalist: Dicky Bolles sent brochures around the country with fake quotes from the Department of Agriculture, announcing that the land was already drained, that this project couldn’t fail, with sort of true quotes from the state, announcing that the will of the state was behind it. Michael Grunwald, Journalist: People were talking about it as the biggest swindle in the history of American real estate, and this was when Florida swampland became a national punchline. Douglas Brinkley, Historian: There was no doubt that people thought the swamp could be drained. It was possible. We could probably do it, but it always smelled of a scheme in some ways. It always seemed like a boondoggle. Thomas Van Lent, Civil Engineer: What they really didn’t understand is just the magnitude, the sheer volume of water they were dealing with. The size of the landscape was immense. Marjory Stoneman Douglas, VOICE: This is the country of the birds. The man-o’-war birds from the Keys float and tumble over it in their effortless flight. Thousands of sandpipers and sanderlings rise in clouds … In a slow roar of aroused wings, they float high up and sail and turn in great concentric circles, white against cloud dazzle. Thomas Van Lent, Civil Engineer: The Everglades is unique because it sits at the crossroads between North America, the Caribbean, Central America, and it's this big place where all of those areas are kind of jumbled together in a big mosaic. That makes it amazingly biodiverse. It has a profusion of plants and animals found nowhere else on this continent, and they're all located together in the Everglades. Gail Hollander, Geographer: South Florida attracted a lot of attention from botanists and explorers, people who were interested in the South Florida landscape as it was, not in terms of what it could produce. There were always voices questioning the route that was being taken in the development of the Everglades. Narrator: From the moment he settled in South Florida, in 1903, naturalist Charles Torrey Simpson had been fascinated by the Everglades. By his own account, he’d “loved Florida on sight”—and he'd chosen to spend his retirement a few miles north of Miami in a place where the natural wonders of the Everglades could be observed. Paul Sutter, Historian: What people like Simpson and others found in the Everglades as they came to study and appreciate them was a vastness and a solitude and a sense of smallness in comparison to the forces of nature that they found spiritually nourishing. Narrator: Already, the wildness that so inspired Simpson was being spoiled by the hand of man. Like famed preservationist John Muir, Simpson believed nature should be left alone—and in 1912, he began churning out a steady stream of books and articles meant as a kind of wake-up call to South Florida. Paul Sutter, Historian: People like Simpson begin to interpret the landscape to south Floridians in ways that becomes particularly powerful. Floridians needed to come to recognize what they were destroying and to recognize that there was great virtue in protecting at least some of it. That without protecting some of it, this Florida idyll—this notion of the good life in this benign climate and environment—was gonna become a kind of hollow promise. Now it was under threat from land developers, orchid and palm poachers and a road that was being laid straight through the island. Simpson and many of his colleagues rose to the defense of Paradise Key, but it was a group of Florida women who ultimately determined its fate. Leslie Poole, Historian: The move to preserve Paradise Key didn’t really gain traction until May Mann Jennings became the President of the Florida Federation of Women’s Clubs in 1914, and May was a person who got things done. Her father was a State Legislator, her husband had been Governor of Florida, and if anybody knew everybody in the state of Florida, it was May Jennings. She decided that saving Paradise Key was gonna be her number one priority and that changed everything for Florida conservation. Narrator: Jennings mobilized her federation—9,000 strong—to lobby the legislature to designate Paradise Key as Florida’s first state park. It proved a tough sell. Convincing lawmakers that the so-called "wasteland" of the Everglades held anything worth preserving in its natural state took patient persuasion. But Jennings and her federation persisted—and, eventually, prevailed. Leslie Poole, Historian: Women didn’t have the vote until 1920, but they had the connections that gave them power. They could join together. They could sign petitions. They could wander the corridors of power and demand change, and they could do that because they had the numbers, and they had the influence. Narrator: On November 23rd, 1916, nearly a thousand people attended the opening ceremony of Royal Palm State Park, which Jennings dedicated “to the people of Florida and their children forever.” Only about a tenth of one percent of the Everglades ecosystem had been saved in the bargain. But amid the incessant calls to drain and develop, Jennings and her fellow conservationists judged the park a good start. Leslie Poole, Historian: It was momentous. What they had created was the first State Park in Florida, and it was the first State Park in the United States that had been created by women’s clubs. So they set an example nationally for how to preserve land, how to lobby to make it happen, and how to realize this dream that others hadn’t been able to accomplish. Narrator: Throughout the 19-teens, earth was being moved all over the Everglades. In addition, the last two of the four main canals running diagonally from Lake Okeechobee would be completed, and dozens of new canals built. In total, the project was slated to cost nearly $25 million—twelve times what the state had spent on drainage so far. Meanwhile, in 1915, construction began on the Tamiami Trail, a 275-mile road that would connect southern Florida's east and west coasts, and usher in the development of both. Michael Grunwald, Journalist: The Tamiami Trail was a road from Tampa to Miami, and it was a road through the Everglades. The building of the Trail suggested that people were starting to see south Florida as the type of place where it was worth investing in infrastructure. Narrator: To some, the dredges that crisscrossed the wetlands, and the work crews struggling to pave over the muck, were signs of progress. To others, they were a menacing intrusion. Andrew Frank, Historian: The Tamiami Trail cuts right through Indian country. This is a really destructive form of colonialism that Seminoles, and native people in general, saw as really aggressive and hostile to their way of life, and it really was a destructive force. Betty Osceola, Local Historian: Before Florida was settled—before you had roads, and canals, and other communities—when it was mainly just our people living here off the land, we were mainly a hunter-gatherer society. We followed where the game went, and it was basically a subsistence type of living. Now there was a road across the state, and it kind of diced up the Everglades. Narrator: With fish and game disappearing from the Everglades, and many of their island planting grounds destroyed, the Seminole did their best to adapt—holding fast to their identity even as the environment that had sustained it was systematically dismantled. Betty Osceola, Local Historian: Instead of building your camp where it was the best place to grow crops or to hunt for the game in that area, it was, “Okay, let’s build our camp close to the highway because we know tourists are gonna travel that highway so we can open up a little shop and start selling our souvenirs. They started making baskets and dolls to sell to the tourists. Andrew Frank, Historian: Sometimes they would do little performances of what you would call alligator wrestling. Tourists ate it up. They know what they imagine the Everglades to be, and this fit what they thought the Everglades would be. Betty Osceola, Local Historian: Before the tourist attractions, the men learned how to trap the alligator. They used those techniques to put on a show that the non-Indians were willing to pay to see. It’s gone from a skill for hunting to survive, and now, it’s a sport. Andrew Frank, Historian: White settlers start creating these Indian camps, these pay-per-view villages, if you will. And the people who are there do remarkably stereotypical Indian things, not necessarily Seminole things, but Indian things. Betty Osceola, Local Historian: They actually created their village inside of it, so the tourists could go in and see the Seminole and Miccosukee people actually living in a village like on display. People paid a fee, almost like going to the zoo. My mom and some of her relatives actually lived inside the tourist attraction. Our ancestors fought for us to be who we are. And even with all the development of the lands, our people stood their ground. Narrator: The Tamiami Trail did more than upend the Seminole’s way of life. It also dramatically altered the landscape of the Everglades, unleashing a torrent of unintended consequences— consequences that one day would imperil the very settlement the road had encouraged. Michael Grunwald, Journalist: What people did not understand at the time was that building a road that bisected the sheet flow of the Everglades was an environmental disaster. It was essentially a dam in the middle of the Everglades. Betty Osceola, Local Historian: The best way it could be for the environment was how Creator originally intended it to be, but the white man came and thought he knew better. COCOANUTS (movie clip): Florida, folks! Sunshine, sunshine! Perpetual sunshine all the year around! Let's get the auction started before we get a tornado. … Eight hundred wonderful residences will be built right here. Why, they're as good as up. Better. You can have any kind of a home you want to. You can even get stucco -- Oh, how you can get stuck-o! Michael Grunwald, Journalist: In the first half of the 1920’s south Florida just went nuts. You had this just insane real estate boom where it felt like every Model-T that was rolling off the assembly line was being driven straight down to south Florida. Narrator: They came in droves—and not merely to vacation. Wealthy Americans with marquee names—Jack Dempsey, Will Rogers, Henry Ford—spent their winters idling in the tropical sunshine, while middle-class transplants sought their fortunes or settled in for retirement. So sudden was the flood of newcomers that the supply of houses was soon exhausted, forcing some to live in tents or houseboats while they waited for their Florida dream to become a reality. Andrew Frank, Historian: The image of the sun and sand and beaches is what they used to lure the tourists in and what they’d lure retirees in. This is the “Come to Florida where retirement’s going to be easy.” And the idea of starting anew and building a dream home was remarkably alluring for many. Narrator: The epicenter of the boom was Miami—which, for a time, boasted the highest per capita consumption of concrete in the world. By 1925, construction was underway on 30 new high-rises and nearly a thousand subdivisions—and real estate prices were soaring. The influx of cash found its way into pockets all over town. Moonlighting as a publicist for a master-planned suburb called Coral Gables, Marjory Stoneman Douglas, a columnist for the Miami Herald, managed to pull in an extra hundred dollars a week. A longtime New Englander and a graduate of Wellesley, the illustrious women's college outside of Boston, Douglas had decamped to Florida in 1915, at the age of 25, reeling from a disastrous marriage and her mother's recent death. Leslie Poole, Historian: When Douglas arrived in Miami, she was really a refugee from life. She was looking for a brand-new start. Jack Davis, Historian: And she gets off the train, and the first thing that strikes her is, as she described it, the white light of the tropics. And it immediately lifted her spirits, and she was attached to that light the rest of her life. Narrator: Miami was then a remote outpost of some 15,000 people—“no more than a glorified railroad terminal,” Douglas said. But her father was the editor of the Miami Herald, and she’d come to town to work. Jack Davis, Historian: Marjory Stoneman Douglas realized early on that she was this independent spirit. Her chief ambition in life was to be a successful writer. Jack Davis: Douglas is writing for the Miami Herald at the time of the land boom, and she finds it very discouraging because she sees it for what it is, and that’s a get-rich-quick scheme that’s eventually going to go bust. But along with that is this tremendous uncontrolled growth, and it’s slapdash. And she sees a major flaw in that. And so she’s using her column, calling for Miami, and all of Florida, for that matter, to be smart about urban growth. Narrator: Douglas was no naturalist—she'd been in Miami for five years before she made a day-trip to the Everglades. But the place had left a deep impression. Marjory Stoneman Douglas, VOICE: Nowhere else in the United States can a real tropic jungle be seen. And to wantonly destroy it for building purposes, and with a mistaken idea of development, is to wipe out one of the greatest factors of our regional life. Jack Davis, Historian: She sees this tropical surrounding being altered to look more like northern environments. She’s seeing water turn dirty. She’s seeing wetland areas being drained away. And she’s seeing the wildlife disappearing in some places. Narrator: Douglas urged caution going forward. But like many Americans who had come to Florida to stay, she didn't question the path to the future. Marjory Stoneman Douglas, VOICE: The wealth of south Florida, but even more important, the meaning and significance of south Florida lies in the black muck of the Everglades and the inevitable development of this country to be the great tropic agricultural center of the world. Jack Davis, Historian: Douglas believed that you could have farming out in the Everglades, but she didn’t wanna see the entire Everglades drained. There was a belief in those days that you could drain your Everglades and have them, too. Douglas Brinkley, Historian: There’s an inbred tension between industrialization, urban living, and the natural world. In Florida, they are really trying to do both. Douglas Brinkley, Historian: Franklin Roosevelt was a very sick man in 1923. And he believed that by going to Florida, he would feel better. And he started coming back again and again. He was deeply enchanted with Florida. He loved it. Douglas Brinkley, Historian: He goes to Florida to get lost in nature because he believed that nature was like a cathedral. It was sacred. Narrator: Many of Roosevelt's happiest hours had been spent in the wilderness. But never before had he encountered nature as it was in the Everglades. “Went fishing in the inlet,” read a notation in the daily log he kept. “Caught one sea trout. … identified 33 different species of birds, including a very large flock of black skimmers. Douglas Brinkley, Historian: By the Twenties, FDR has already bought into the idea of the Everglades being worth preserving because he’d been there. He knew firsthand what it was, and he starts talking about the Everglades to friends. They were determined to try to create a large park in south Florida. Narrator: Since 1872, when Yellowstone had been made the world's first national park, the idea of preserving large swaths of nature for future generations had been steadily gaining traction. By 1916, so many wilderness areas had been set aside across the country that the National Park Service was established to oversee them. Now, Roosevelt and his conservationist friends hoped to create such a park in the Everglades. As with the bird sanctuary, there was no time to waste. "If we wait till these lands show commercial values," urged one of Roosevelt's allies, "we'll never get our park." Maggy Hurchalla, Local Historian: Sometimes we have too much water. Sometimes we have too little water. We never, or very rarely, have an average amount of water. Narrator: Water was a fact of life for anyone living in south Florida. But likely no one spent as much time thinking about water as Fred Cotten Elliot, the Tallahassee-born civil engineer tasked with managing the state's drainage project. 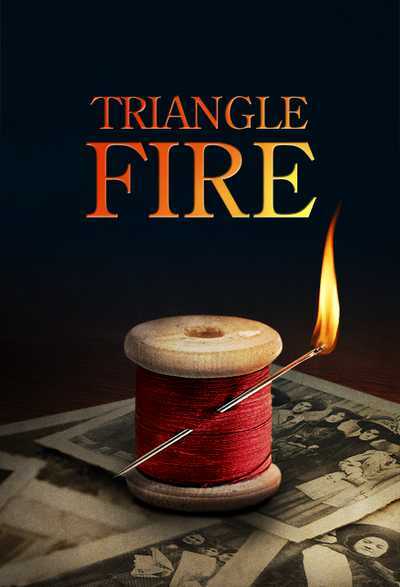 Elliot exuded an unflappable confidence, honed by the rigorous discipline of military school. But by 1924, he'd been on the job 11 years, and controlling the water was every bit the challenge it had been on day one. After more than 11 million dollars spent and 427 miles of canals dug, the Everglades remained overwhelmingly a wetland. Paul Sutter, Historian: There were pockets of the Everglades that drainage did open up to agriculture. But I think for every effort engineers and drainage experts made to drain the Everglades, they created new problems. Narrator: The diagonal canals that ran south from Lake Okeechobee to the Atlantic had been completed; but they were often too clogged with silt and water hyacinths to be truly effective. More problematic still: the St. Lucie Canal—the key to controlling overflows from Lake Okeechobee—was as yet unfinished. Newly-drained land south of the lake had been flooded more than once, and complaints from tax-paying farmers there had grown too numerous for Elliot to ignore. The farmers had been settling south of the lake for a decade—etching their optimism onto the map of Florida with new towns named Chosen and Hope City. Eliot Kleinberg, Journalist: Early on it was small mom-and-pop farmers growing winter vegetables. These winter vegetables basically supplied the entire northeast. If you had a head of lettuce in New Jersey in the 1920’s, it came from around Lake Okeechobee. Narrator: The work was backbreaking. It could take as much as several months to clear the sawgrass from a single acre before a farmer could plant a crop. And then, that crop might easily wind up under water. Michael Grunwald, Journalist: The Everglades had the right amount of water, but it didn’t have it at the right times, and when it came, it came in buckets. Even with those canals, it was still impossible to get it off the land fast enough to keep it from drowning people’s crops. Eliot Kleinberg, Journalist: They had heavy rains that could wash out an entire crop, and if you’re trying to grow beans and every time there’s a heavy rain there’s two inches of water flooding your beans, you’ve got a problem. Narrator: Fred Elliot's solution was to build an earthen dike along Lake Okeechobee's southern rim—a fix the Palm Beach Post hailed as "absolute insurance against any future overflow." Eliot Kleinberg, Journalist: They said, “We need to protect these farmers,” so they put up this dike to protect them from the lake. And when you say “dike” you’re talking about basically a six-foot wall of muck. Narrator: The dike, as it took shape, did not inspire confidence. One section proved so prone to crumbling, it had be rebuilt five times. To Howard Sharp, the editor of the Everglades News and the self-appointed advocate for the farmers in the upper Glades, the dike was almost beside the point. Lake Okeechobee could be stopped from menacing the region's agriculture, Sharp insisted, if only Fred Elliot managed the water better. Michael Grunwald, Journalist: The decisions he made were wildly unpopular because everybody wanted water in different places. The farmers in the upper Everglades, they mostly wanted the lake to be kept very low, except when it was a drought situation. While steamboat operators, and fishermen, and people living in the coastal communities had very different ideas of how much water they wanted pushed through these canals. Michael Grunwald, Journalist: Elliot was a pretty arrogant guy and the fact that everybody was yelling at him, he took his proof of a job well done. But Howard Sharp saw him as, essentially, this out of touch pencil pusher who is trying to manage the Everglades from an office in Tallahassee and screamed at him, particularly when Elliot wanted to keep the water levels high. Narrator: In the summer of 1926, heavy rains raised Lake Okeechobee to the edge of its dike. “The lake is truly at a level so high," Sharp warned, "as to make a perilous situation in the event of a storm." Elliot countered that lowering the levels to protect the upper Glades would only flood the coastal communities and waste precious water needed for irrigation that winter. Maggy Hurchalla, Local Historian: They dug enough canals to drain the whole of south Florida when it rained 50 inches of rain. They had not dealt with what water does in a rainy year and a great storm. Narrator: Not long after midnight on September 18th, 1926, Miami was struck by the most powerful hurricane in its history. 140-mile per hour winds and 15-foot storm surges uprooted trees, tossed yachts into the streets, and swept roofs all the way to the Everglades. Maggy Hurchalla, Local Historian: It was a very large storm. It hit dead on with the right-hand shoulder coming across Miami Beach. Andrew Frank, Historian: When the hurricane cuts through Miami, it’s almost as if like the Titanic has sunk. We have built this remarkable city that is incredibly modern, and the storm comes through and, now, most of Miami is not inhabitable. Narrator: One estimate put the total property damage at a hundred million dollars. Miami Herald columnist Marjory Stoneman Douglas was visiting Massachusetts when the storm hit. She returned to find her house still standing but strewn with seaweed and crabs. Miami's real estate boom, she later noted dryly, had been “blown away." Maggy Hurchalla, Local Historian: The boom busted because it was a bubble. It was a Ponzi scheme. The boom busted, literally and practically, because the building materials that were coming into the harbor in Miami couldn’t get in after the 1926 hurricane. Narrator: The destruction in Miami was soon overshadowed by the loss of life in Moore Haven, one of the farming communities south of Lake Okeechobee. Eliot Kleinberg, Journalist: The 1926 storm, after it came through and smashed Miami, it then continued into the interior, and it came up along the south shore of Lake Okeechobee. It washed the water out of the lake, busted out this little six-foot dike, and drowned several hundred people. Narrator: Howard Sharp’s dire prediction had been fulfilled—and he squarely laid blame for what he called “the day of death” on Fred Elliot. Michael Grunwald, Journalist: Howard Sharp: he believed that it was essentially negligent homicide by the chief engineer because he could have let some of that water out of the lake earlier, but he didn’t wanna flood the downstream communities. People in Miami and Ft. Lauderdale who had more political juice than the poor farmers in the Everglades. Elliot, for his part, refused to take responsibility. Instead, he put forward a $20 million plan to master nature once and for all. 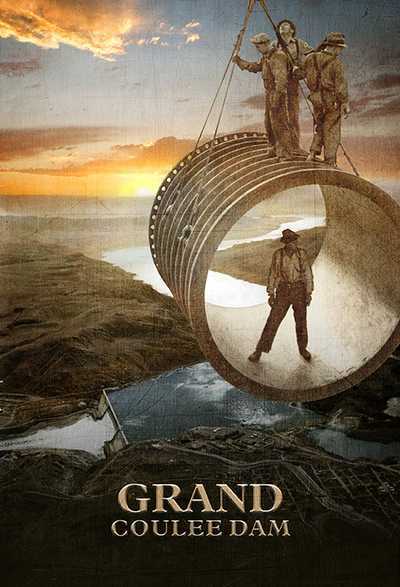 Michael Grunwald, Journalist: Fred Elliot did, at least, recognize that there were things that could make the system safer: bigger canals that could move more water out of the lake in a hurry as well as a stronger dike. Narrator: Elliot did his best to sell the project, but the state legislature couldn't raise the taxes to pay for it. As one Florida official later observed: "It is mighty hard to get people in other parts of the state interested in whether South Floridians perish or not." Michael Grunwald, Journalist: For the first time since the dawn of the Broward era, this great drainage project was essentially on hold. Narrator: In the end, although the hurricane had claimed 400 lives and left 40,000 homeless in south Florida, Elliot was able to do no more than patch up the existing dike. Still, many remained sanguine about the region's future. "To be sure, some lives were lost in the hurricane," one Florida booster conceded, "but hurricanes come only once in a lifetime." Narrator: In Miami, the rebuilding began almost immediately, fueled by millions in insurance settlements. Within months, tourists were returning to America's favorite winter playground and real estate prices were ticking up once more. In the upper Glades, farmers waited for the flood waters to recede and then replanted. In the winter of 1927, they shipped over four million dollars worth of produce north, making it a banner year. And as planting season approached, a familiar sight returned to the narrow, rutted roads that led to the farms of the upper Glades: thousands of migrant laborers, the vast majority of them black. Eliot Kleinberg, Journalist: By the Twenties, some of these farms had gotten quite big and had dozens, or even hundreds, of employees. It became very popular to hire people from either the Deep South or from the Caribbean. 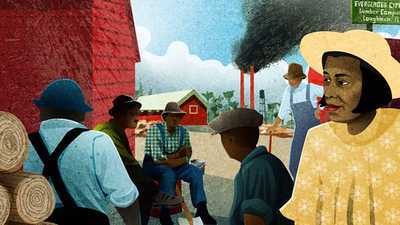 A sharecropper family in the Deep South had an opportunity to come down to Florida where they got paid in cash. Some people lived in ramshackle shacks. Some people lived in tents. But for them it was better than whatever they had had back in Georgia or in the Bahamas. They clustered near the farms southeast of Lake Okeechobee, and temporarily swelled the populations of the towns of Clewiston, South Bay, Pahokee and Belle Glade. They came to plant and to harvest: vegetables, citrus fruit, sugar cane. In the fields, they often worked alongside Seminole people who likewise spent their lives on the move. Betty Osceola, Local Historian: They had to adapt when they couldn’t hunt anymore. So the families, instead of just traveling to look for game, they started following the seasons for the agricultural industry. Narrator: The rains fell hard throughout the month of August 1928. By early September, Lake Okeechobee's water level was nearly three feet above normal. As he had in 1926, Howard Sharp, now a county commissioner, railed at chief engineer Fred Elliot to discharge water from the lake. Again, Elliot refused. "Advocates of a high lake level," Sharp cautioned on September 7th, "take a terrible responsibility on themselves." Four days later, the U.S. Weather Bureau reported a gathering storm, 1,600 miles southeast of Florida. Narrator: Over the next several days, as the tropical depression ratcheted up to hurricane force, the Weather Bureau stuck to its forecast—predicting on the night of the 15th that south Florida would be spared the worst of the storm. By the time an updated forecast was issued the next morning, most of south Florida was woefully unprepared. Early that afternoon—September 16th—the hurricane smashed into the coast of Florida at West Palm Beach—then hurtled west toward Lake Okeechobee. Eliot Kleinberg, Journalist: It was a tremendously powerful windstorm that caused tremendous damage along the coast and some loss of life, but that was not what happened in the interior. In the interior, it was the water. Narrator: Amid darkening clouds and periodic squalls in the upper Glades that morning, a few of those lucky enough to own a car had fled. Hundreds more found shelter in one or another of the area's few hotels. But the vast majority had nowhere to go. Now, as evening came on, 150-mile-per-hour winds were whipping the swollen lake into a 15-foot-high wall of water. Maggy Hurchalla, Local Historian: It was not simply that the water rose up to the top of the dike. The wind took it and blew it literally at a slant all the way to one side of the 400,000 acre lake and then the wind blew the other way and came right on up over the dike. Eliot Kleinberg, Journalist: It was as if a gigantic hand had tipped that lake and pushed all of that water, from the north end of the lake down to the southeast corner, which is where all the people were. Narrator: The onrush of water obliterated 21 miles of the 47-mile earthen levee. Eliot Kleinberg, Journalist: There are stories of people whose house collapsed around them and they were floating in 20 feet of water over farm fields, grasping a piece of wood. This storm just slowly but methodically washed across the countryside. 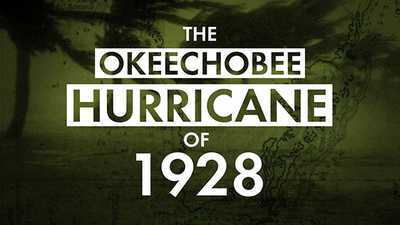 Narrator: The Okeechobee Hurricane claimed a higher death toll than any other natural disaster in American history, after the Galveston Hurricane of 1900. All told, an estimated 2,500 people died in south Florida, most of them migrant farm workers who'd been swept from their tents and lean-to shacks, and drowned in the vegetable fields of the Everglades. Michael Grunwald, Journalist: Hurricanes have been a part of Florida history from the start, but in the past, there really hadn’t been a lot of people living in harm’s way. This was the moment when Florida really had to come to grips with the notion that this was no longer a natural system; it was an engineered system. By building the dike and concentrating that water, and then once the lake blasted through the dike, it was way more powerful and way more water. Maggy Hurchalla, Local Historian: My father told me a story of being one of the first reporters in after the ’28 hurricane. He said they were rowing rowboats in with ropes behind the rowboat, towing bodies with a string of heads bobbing in the water behind the rowboats. Narrator: The state mobilized the National Guard to conduct the clean-up—and the Guard, in turn, conscripted black survivors at gunpoint to search for bodies. Eliot Kleinberg, Journalist: In the 1920’s, Jim Crow was in full force. Blacks were second-class citizens or invisible. When it came time to bury people, they weren’t going to waste a coffin or a casket on a black migrant worker. And when it came time to create the mass graves on the coast in West Palm Beach, 70 white victims were placed in a marked grave in the back of the city cemetery with great fanfare and dignity. But for 700 or so black migrant workers, they were trucked to a pauper’s cemetery in the black neighborhood and a big hole was dug, and they were dumped in. Thomas Van Lent, Civil Engineer: The Hurricane of 1928 is one of those transformative events in Florida’s history. There’s immense human suffering, immense economic catastrophe for Florida, and it changed the way people looked at the Everglades. Lake Okeechobee was, sort of, something you had to conquer before, but now it looked positively menacing. It could kill you at any time. There was a sense we had to do something. We had to chain this beast. Narrator: Five months after the hurricane, a visitor from Washington, DC arrived to inspect the damage—the newly-elected President of the United States, Herbert Hoover. An engineer by training, Hoover, as commerce secretary, had led the massive relief effort for the victims of the catastrophic 1927 Mississippi River flood. But what south Florida needed, he could see, was more than relief. “I’m going to help you with this thing,” Hoover vowed. Michael Grunwald, Journalist: 1928 made it clear that the federal government was needed to solve the problems of the Everglades. It also made clear that the biggest problem was the potential for catastrophe that would kill thousands of people. And, in Florida, they really started an assault on the Everglades to prevent 1928 from happening again. Narrator: The new engineering solution to the problem of Lake Okeechobee would take 10 years and 20 million dollars to build: a concrete wall as tall as a four-story building and more than twice as wide, standing solidly between the lake and the Everglades. Thomas Van Lent, Civil Engineer: The ostensible purpose was to protect the communities around the lake, and it did that. But that transformed how the Everglades worked. Now, the very heart of the Everglades would be forever cut off. Leslie Poole, Historian: For thousands of years we’ve, in western civilization, been under the impression that our decisions about nature are only going to improve it. And we believe that we can make changes without really understanding what those consequences would be. Narrator: On February 11, 1930, 100 miles south of Lake Okeechobee, Marjory Stoneman Douglas joined a group of officials from the National Park Service aboard a Goodyear blimp to tour the lower Everglades—a trip Douglas had helped arrange. Marjory Stoneman Douglas, VOICE: The visitors looked down through flocks of blue and white herons tossing and falling like scraps of paper between them and the earth. … The land alone, with all its great potentialities, seemed strange, a region which, if the plans succeed, will become the second largest national park in the United States of America. Michael Grunwald, Journalist: Ernest Coe was obsessed. He believed that the Everglades was not just a wasteland. He believed that it was a unique creation of God, a place that should be preserved not just for the sake of the birds or for the sake of the royal palms but for the sake of itself. Douglas Brinkley, Historian: Ernest Coe promotes the Everglades like nobody’s business—letters to everybody, newspaper articles, photographs—to the point of annoying people in Tallahassee. But he put his shoulder to the wheel and enlightened people about it, preaching the gospel of the Everglades wherever he went. Narrator: The boundaries Coe had drawn for the park reflected his expansive vision: more than two million acres were to be included, from fifteen miles above the Tamiami Trail to the Big Cypress Swamp to the coral reefs that dotted the Florida Keys. The challenge was to convince people of the Everglades' value—and for that, Coe turned to Douglas for help. Jack Davis, Historian: Ernest Coe sees in Douglas the opportunity to bring somebody into this movement who could generate publicity. The great challenge that Coe and Douglas were facing in convincing Washington and the American public, even many people in south Florida, that the Everglades is worthy of national park status, is that it didn’t have what every national park before the Everglades had. Leslie Poole, Historian: Most national parks in America had been created out of scenic value. You can’t walk into Yosemite and not get it, or the Grand Canyon. You totally understand why that needs to be preserved. It’s just amazing. It’s awe-inspiring. But when you look at the Everglades, eh, not so much. It’s a lot of sky, and it’s a lot of sawgrass and water. Narrator: Coe also was anxious to overcome the perception, as he put it, “that the Everglades National Park was just another Florida promotion scheme." So he supplemented the aerial tour with a rare up-close view, leading his guests on a three-day boat trip into the heart of the so-called swamp. Douglas Brinkley, Historian: The problem of marketing the Everglades as a National Park is how do you experience it. The Everglades was hard to access. It was work. Leslie Poole, Historian: The park advocates were really brilliant, I think, in their campaign. They understood the real value of the Everglades was really in its biodiversity and all of the plants and animals that it contained. And they knew that if they could get these congress people from outside of the state of Florida to see that big picture, then they could win their support. They could see the enormity of it, and then they got it. Marjory Stoneman Douglas, VOICE: People say, “what in the world can anyone see in that country, to make a national park of?” And yet even as they say that, their eyes are widened a little. They are affected by an extraordinary simplicity. They are touched by it. They remember. Narrator: Although the visiting committee recommended Coe's proposal to Congress with enthusiasm, it wasn't until 1934—following the election of longtime south Florida fan Franklin Roosevelt—that the Everglades park figured prominently in the nation's plans. Douglas Brinkley, Historian: Roosevelt called 1934 the “Year of the National Park,” and he toured the whole country visiting them. The Everglades became a principal part of that campaign. And the idea was a new kind of biological park, a Galapagos of America. It was a place that you would see animal life like nowhere else. This shows an enlightenment. This is the national park idea coming into maturity. Narrator: On May 30, 1934, President Roosevelt signed a bill authorizing the creation of Everglades National Park. But before any park could be created, the state of Florida would have to buy back the land it had sold to homesteaders, speculators, and business concerns—each of which imagined a different future for the Everglades. Michael Grunwald, Journalist: In the West, the federal government owned most of the land, so it was pretty easy to just decide not to sell it to private landowners if you wanted to preserve it. In south Florida, most of this land was in the private domain and that meant a lot of horse trading, it meant a lot of delays, and it meant some very difficult decisions about what was gonna be in and what was gonna be out. Narrator: Throughout the 1930’s—as the Depression crippled much of the nation and drought decimated crops across the Southern Plains—people flocked to the upper Everglades, to work the fields in the shadow of the massive dike rising along the shore of Lake Okeechobee. Long before it was finished, in 1938, locals began calling the dike the “Great Wall of the Everglades,” confident that it would protect their families and their farms. And while vegetables remained the primary crop, the long-held dream of producing sugar on a grand scale now became reality. Paul Sutter, Historian: Sugar is a hugely important commodity to the United States in the early 20th century, and much of the sugar that the United States is getting is coming from offshore, and particularly places like Cuba. Sugar is also the subject of intensive debates over tariffs, and protectionism, and so there are many Americans who want to produce sugar within the United States. But increasingly, the Everglades also had problems. Leslie Poole, Historian: The Everglades system was starting to come more and more under the management of humans. For those in the agricultural business, it was a boom time because this drained Everglades peat was, initially, wonderful for agriculture. But the soil also subsided very rapidly. And so this tropical agricultural Eden was proving to not be operating in the way that they hoped it would. Paul Sutter: The soils of the Everglades are formed as a result of being fairly constantly inundated with water, once they are exposed to the atmosphere, break down very rapidly; they dry up and blow away. Gail Hollander, Geographer: It’s almost like a form of desertification similar to what happened in the U.S. West. 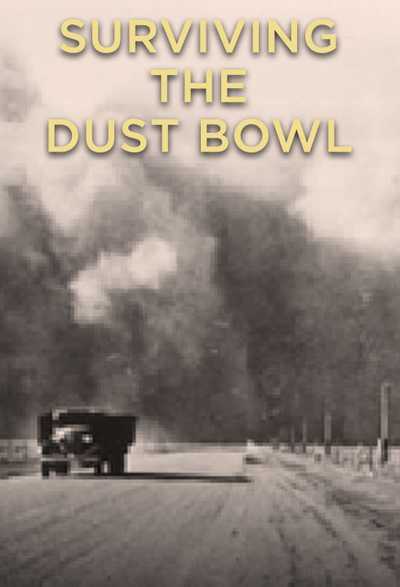 It’s Florida’s version of a Dust Bowl. Narrator: Not only was the prized soil disappearing on the wind, but the water table had dropped precipitously, choking off the supply of fresh drinking water to Miami, now a city of more than 100,000. Thomas Van Lent, Civil Engineer: The City of Miami got its water from wells. They immediately went salty. Saltwater intruded. They lost their water supply. Narrator: But what captured attention across the country was the fires—seemingly unquenchable blazes that swept across the sawgrass prairies and burned up the precious peat and muck. Gail Hollander, Geographer: This dried, desiccated peat soil becomes flammable; something that had held water is now capable of burning on a wide scale. Thomas Van Lent, Civil Engineer: What burns is literally the soil. 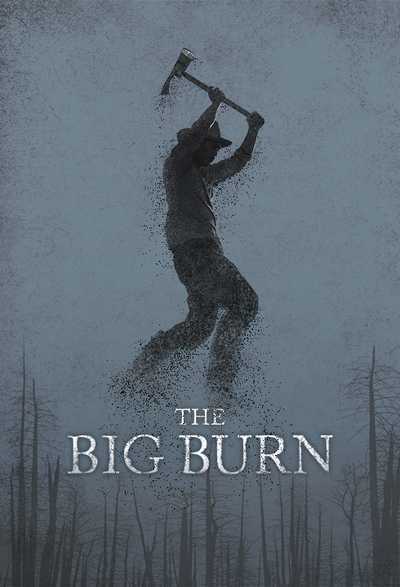 You can lose 1,000 years of accumulated plant soil build up in an afternoon’s fire. This smoldering, smoking soil that just keeps burning and burning and burning, and that can last for days, weeks, or even months until the water comes back and puts it out. Narrator: In 1939 alone, one million acres of drained wetland were incinerated, destroying potential farmland worth an estimated 40 million dollars. So much smoke hovered over the region that roads were declared impassable due to low visibility, and schoolchildren all the way in Miami had to cover their faces with wet handkerchiefs. Leslie Poole, Historian: It was apparent that something was amiss in the system. It’s been manipulated by humans, and it’s not responding in a natural way. Thomas Van Lent, Civil Engineer: There was, a sort of, sense of, “What is going on out there?” They’d never seen anything like it. It just seemed like something was really wrong. And that’s when you start to see people going out to the Everglades and seeing if they could figure out what it was. Narrator: Over the years that she'd been in Florida, Marjory Stoneman Douglas had been inspired to write about the Everglades on more than one occasion. She had hailed the region's virtues as a site for development, and called for the preservation of its natural wonders. In 1943, she decided to take a new tack, and write about the Everglades as an environment to be understood. Jack Davis, Historian: She had published many, many articles in national newspapers, particularly Saturday Evening Post, and she was asked to contribute a volume to the Rivers of America series, and she was asked to write her book on the Miami River. Leslie Poole, Historian: They thought the Miami River might be a good subject. But Douglas knew that it wasn’t a very long river, and there wasn’t a whole lot to it. And rather than let a book contract slip away, she began to mull over the possibility of using the Everglades for a book. Narrator: “They have been called the ‘mysterious Everglades’ so long," Douglas argued, "that the phrase is a meaningless platitude.” The publisher agreed—and Douglas set off to learn all she could. Jack Davis, Historian: Marjory Stoneman Douglas is doing exhaustive research on this book in the archives, in personal papers and conversations with people. Narrator: Among the many experts Douglas consulted for the book was Garald Parker, a scientist with the United States Geological Survey. Parker had been sent to south Florida to examine the salt contamination of Miami's well water. Thomas Van Lent, Civil Engineer: Parker was very methodical and was focused on getting as many measurements as he could. So he was one of the first to actually start stream gauging. How much water is leaving the Everglades? 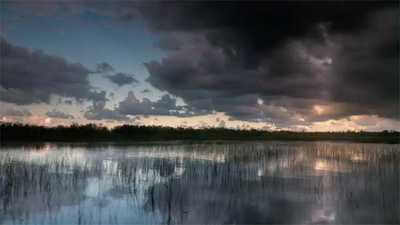 How much water is coming in the Everglades? So he was using observation and measurements, trying to make a hypothesis about how the Everglades worked. Narrator: Parker’s study reflected a growing concern with ecology—a developing science dedicated to the relation between organisms and their environment. What he found was alarming: without constant replenishment of the Everglades, the wells that supplied drinking water for the coastal cities would be contaminated by salt. Thomas Van Lent: VAN LENT: The water levels sank so low because the fresh water coming in off the Everglades was cut off. And he mapped all that. He made these predictions about the saltwater intrusion coming in from the ocean. Narrator: In November 1947, Douglas published The Everglades: River of Grass—and forever redefined the region as essential not only to wildlife, but to people. Marjory Stoneman Douglas, VOICE: There are no other Everglades in the world. … The miracle of light pours over the green and brown expanse of saw grass and of water, shining and slow-moving below, the grass and water that is the meaning, and the central fact, of the Everglades of Florida. It is a river of grass. Jack Davis, Historian: To describe the Everglades as a river is lyrical and memorable, something that people could latch on to and actually develop an image around. We know what a river looks like. We know what grass looks like. They’re putting the two together and getting this image of the Everglades, which is wholly different from a swamp. Maggy Hurchalla, Local Historian: Marjory was a wonderful writer who was able to listen to hydrologists, listen to biologists, listen to people who understood the system and to translate that into the magic of the sunrises and the sunsets. Leslie Poole, Historian: It changed the whole country’s attitude about what the Everglades were. When her book came out, it sold out almost immediately and went into immediate reprinting. Jack Davis, Historian: The book breaks new ground because she’s showing the readers she’s examining the human relationship with the natural world. She’s showing readers they have this intimate connection with the natural world. Douglas, in writing her book, I think, to some degree, sees the future: that we just can no longer talk about beauty, we can no longer talk about the benefits to wildlife, we gotta talk about the ecology, the ecosystem and its benefits to the human population as well. Marjory Stoneman Douglas, VOICE: The Everglades were one thing, one vast unified harmonious whole, in which the old subtle balance, which had been destroyed, must somehow be replaced, if the nature of this whole region and the life of the coastal cities were to be saved. Newsreel Narrator: In Florida, at Everglades City, President Truman dedicates a famous wilderness as a national park. President Truman: Today, we mark the achievement of another great conservation victory. Narrator: On December 6, 1947, a month after the publication of Douglas’s book, more than 5,000 people turned out for the formal dedication of Everglades National Park. Douglas was there, along with the park’s most devoted champion, Ernest Coe. So too were many of the women’s club members whose conservation efforts stretched all the way back to the creation of Royal Palm State Park—which had been donated as the nucleus of the National Park and was commemorated that day as "a gift to the nation." It had taken 13 years of negotiations for the state of Florida to acquire the land for the park, and resistance had come from all sides—from hunters, commercial fisherman, farmers, and oil producers who'd only recently begun to drill into the muck. In the end, the two million acre park that Coe had proposed, and Congress approved, had been whittled down nearly by half. Coe was so bitter about the final boundaries, he had to be convinced by friends to attend the dedication ceremony. But when he was introduced as the “daddy” of the park, the crowd burst into applause. Michael Grunwald, Journalist: It’s a tribute to these people who were way ahead of their time when they realized that this was something that ought to be preserved for the centuries to come. Narrator: Also present at the dedication were representatives of the Seminole, who eyed the celebration warily. Betty Osceola, Local Historian: A lot of that area was designated for the indigenous people. That designation was removed to be replaced by the creation of Everglades National Park, so almost a taking from the people. The Seminole people living in the park didn’t meet the ideals of what the park was created for. It conflicted. 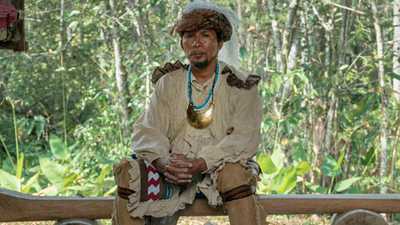 Andrew Frank, Historian: Without treaty, without agreement, the Seminoles try to fight to keep sovereignty over their land and try to maintain some semblance of control over what seems to be a rapidly changing environment both politically and ecologically. Narrator: The Seminole were not the park's only critics. Douglas Brinkley, Historian: Not everybody was happy with the Everglades National Park. The fact that Florida’s developing so quickly, there are a lot of capitalists that’ll say, “The National Park was a mistake”—That there was money to be had if we would’ve drained it. We could’ve had sub-development after sub-development after sub-development. I think skepticism about that park exists for decades to come. Narrator: For conservationists, Everglades National Park was a triumph—and a bulwark against the often reckless development that had marked south Florida for the past half century. But the message put forward in Douglas’s River of Grass suggested that the Everglades could not be preserved piece by piece. Paul Sutter, Historian: Drawing the line around the portion of the Everglades that gets protected as a national park, while a very powerful thing to do—a way of keeping out those forces of commerce and economic transformation—is also an act that just simply can’t accommodate for the dynamism of the system hydrologically and ecologically. And so the health of the park is the health of that system, and protecting a park without assuring the health of that system is, in the end, really only a half measure. Narrator: For the Everglades, the second half of the 20th century would play out much like the first, with water remaining the region's primary obstacle to growth––and engineering the remedy of choice. In the years following World War II, the Army Corps of Engineers would undertake an epic project to subdue––once again, and once and for all––the region's natural cycle of flood and drought, resulting in the most elaborate water control system the world had ever seen. And once again, the promise of control would fuel an unprecedented boom—intensifying agriculture, boosting tourism, increasing Florida's population by roughly a million every five years, and ratcheting up the already-fierce conflict over water. Jack Davis, Historian: So you have all these competing interests in the Everglades and each wants the Everglades to work for them. Thomas Van Lent, Civil Engineer: It was absolutely catastrophic for the natural system. The regulations for water supply had nothing to do with the rhythms of the plants and animals who lived in the Everglades. Narrator: Already by the early 1970's, half of the natural Everglades had been lost to agriculture and development. Much of the rest, including the national park, was soon on the brink of full-scale ecological collapse. Leslie Poole, Historian: We have a hard time believing that nature is in a good state without our manipulation, and we believe that we can make changes without affecting ourselves. This is the great lesson of the Everglades—what we were doing was really upsetting a beautifully evolved system, and now, we’re gonna pay the consequences. Maggy Hurchalla, Local Historian: Nature has been very good at screaming its head off whenever we did the wrong thing, and we need to get better about not waiting ‘til it screams—to find a subtler way to solve the problem of living together with it. We would lose south Florida if we lost the Everglades. Michael Grunwald, Journalist: Everybody’s looking to the Everglades to see if we can get it right. And it really is the most amazing test, not just of our science and of our planning and of our environmental knowledge, but it really is a moral test of whether we’re gonna be able to preserve a place for people alongside a unique creation of wilderness. Indigenous stories from the Everglades.